Centrally located in the heart of Bearden on the corner of Kingston Pike and Northshore Dr., just minutes from Downtown Knoxville and the University of Tennessee (GO VOLS! 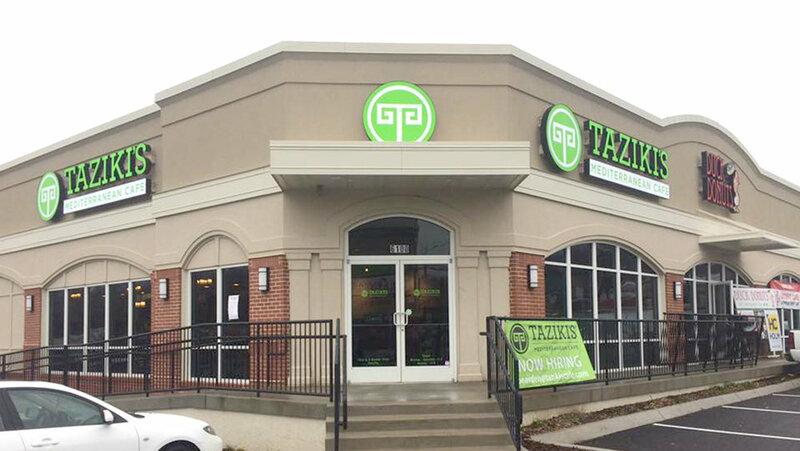 ), Taziki's is the spot for healthy and fresh Mediterranean-inspired food with southern flair. Taziki’s caters to every taste with made-to-order dishes prepared fresh twice daily. Whether you need a quick fix during a hectic lunch rush, a catering order for your office staff or an event, dinner and drinks in-house, or a family feast to go, our friendly staff has you covered. One of our team members will be glad to walk you through your individual or group order, helping you choose just the right meal. Have a special dietary need? Our staff is trained to accommodate and ensure your dining experience is perfect and memorable. Give us a call at 865-444-0661 or order and pay online at tazikiscafe.com. Use our curbside to-go and we will bring your order right out! Need extra service? We deliver!